This statistic shows the U.S. self-reported lower- and middle-income consumer spending on a monthly basis for the ongoing year. The survey is conducted doing daily telephone interviews among approx. 30,000 adults per month in the U.S. The graph shows the 30-day average for each month to depict an annual trend. Lower- and middle-income consumers are Americans making less than 90,000 U.S. dollars a year. 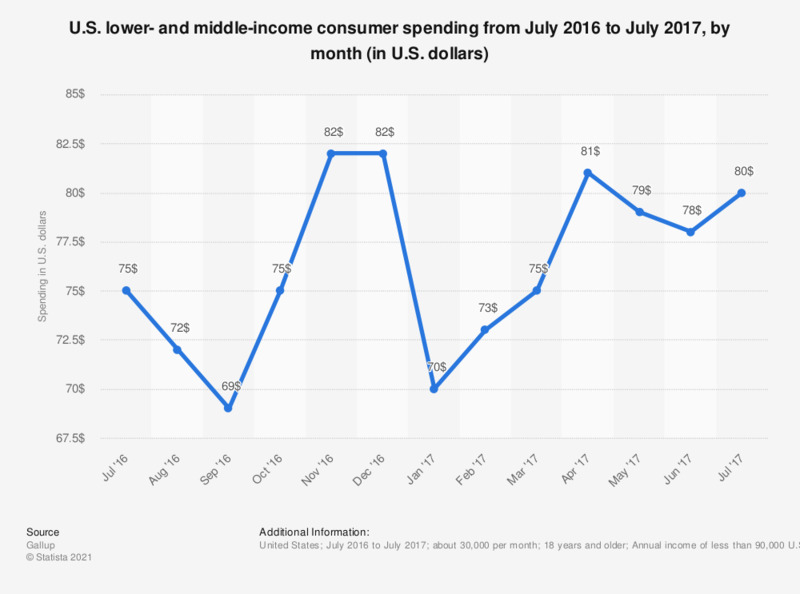 In July 2017, the average daily spending of lower- and middle-income Americans amounted to 80 U.S. dollars.